This could be entitled older man sketching young man looking at a girl. I boiled it down to “Looking at a Girl”, which generalizes the central idea of the drawing. I just started a book called “Why Poetry” by Matthew Zapruder. I’ve had a difficult time with most poetry and this book promises to be of great help. I think my title for this piece is an unconscious application of my reading of the first few chapters of “Why Poetry“. 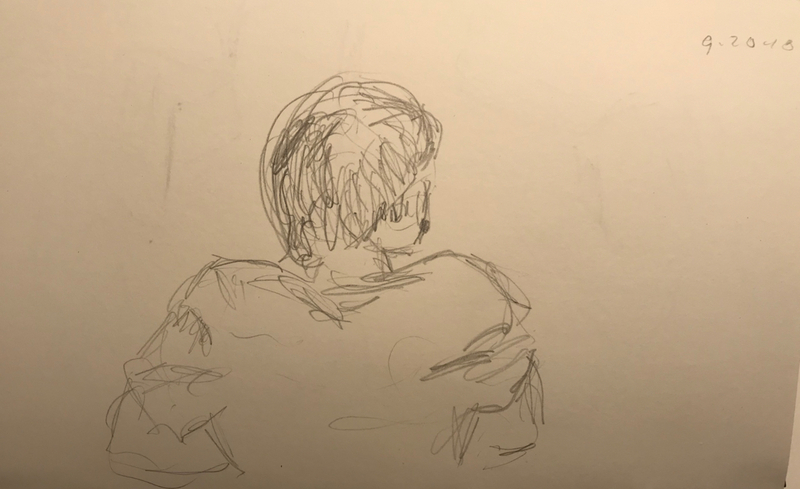 This entry was posted in Personal Stories and tagged art, artistic process, drawing, importance of title, learning poetry, pencil sketch, poetic thinking, poetry, portrait, visual art. Bookmark the permalink.